Traditionally, data protection was focused entirely on backup and recovery, with little innovation taking place within the space. While data storage and recovery remain as critical elements to business success, our increasingly digitized world has forced technology companies to think outside the box and look for ways to bring greater innovation to data protection. More and more, companies are seeking to modernize data protection beyond backup and recovery in order to meet the growing demands of our modern, digital world. With access to so much data and information, how can we take data protection to the next level? One emerging innovator in the data protection space is IBM Storage. 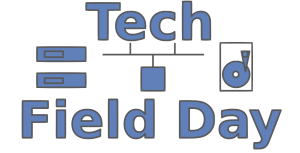 IBM Storage recently presented at Storage Field Day 18 where they showcased the latest enhancements to their IBM Spectrum Protect Plus solution. While IBM is not new to the data protection market, they are typically not the first provider that comes to mind when thinking about data protection. IBM hopes to change this as they continue to improve their data protection solution suite. 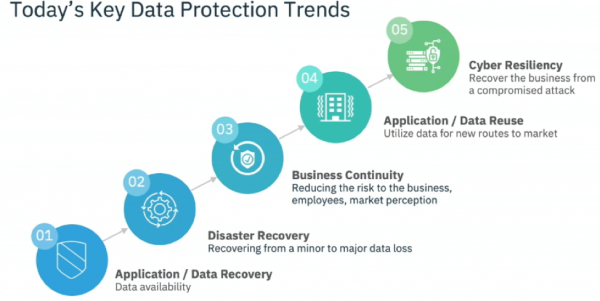 As Prashant Jagannathan, Offering Manager at IBM Storage explained, there have been several key trends in data protection. In the past, the greatest emphasis had been placed on Application / Data Recover, Disaster Recovery and Business Continuity (see image below). Much of the focus in these three phases revolved around maintaining the status quo and ensuring businesses stayed running. With a focus on maintenance, little, if any attention was put on how to better leverage the data being stored. While backup and recovery remain as critical elements to data protection solutions, we are seeing a push from businesses to do more with their data than to simply protect it. As IBM Storage looks to the future of data protection, they are placing a greater emphasis on what they term data reuse and cyber resiliency. Given this emerging trend, data reuse is at the heart of IBM Spectrum Protect Plus 10.1.3. With these latest updates, we see the push to make IBM Storage Protect Plus more than a simple backup solution. IBM, like many other leading providers, is innovating ways for businesses to get more value from their data, hence their focus on data reuse. In order to remain competitive in the data protection market, today’s providers must think beyond backup and recovery. We see this with emerging players in the space like IBM as well as established entities like Veeam, Commvault and Veritas. If IBM’s latest release is any indication of where data protection is headed, we are likely to see even greater innovations coming in the months and years ahead. Alicia has more than 10 years’ experience in the marketing and communications field and helps lead Gestalt IT’s content creation projects and marketing initiatives.